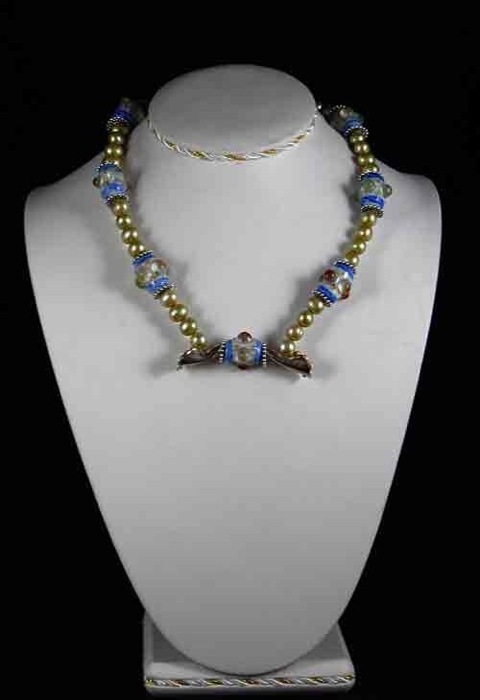 This 19" necklace is gorgeous!There are green pearls accented by barrel shape white glass beads with blue, yellow and green applied colors. There are a lot of silver accents and clasp. 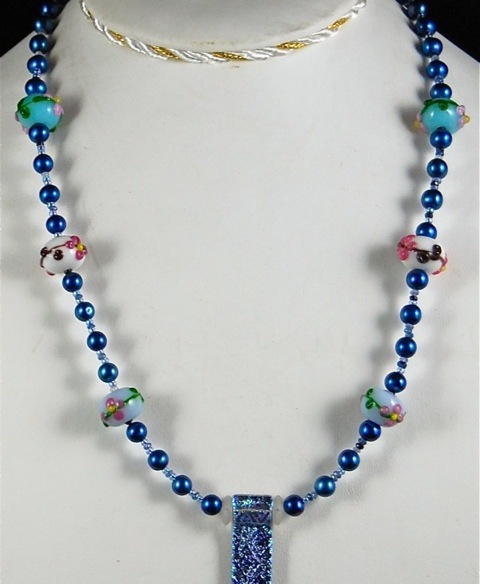 Blue pearl necklace with glass flower beads and a glass pendant.